In the world today, everyone with a laptop computer or an internet enabled phone wants to start a blog, over 175,000 new blogs and more than 1.6 million blog updates go online, according to Technorati, a blog tracking firm. I am strongly in support of you starting your own blog because there are things yet to be done when it comes to blogging. Don't get too surprised if blogging becomes a part of school curriculum. Don't forget blogging is an integral marketing tool. Recent research carried out on business technology marketing executives by research firm MarketingSherpa, blogs were voted the No. 4 tool for generating sales leads. The term blog was crafted from the word "web log.' What this means is that a blog is a web page or an online journal. As blogger you may decide to update your website daily, weekly or even monthly. Most times, blog updates contain a few wordings, images and links linking to other sites. Yes, besides being a platform where you can help solve problems on the internet and show your intellectual capacity, it can act as marketing tool for your business. Also, Your blog give room for you or your business to connect with your customers or potential customers directly in a pressure-free way. According to Entrepreneur.com, You can communicate the strengths of your product or service, the expertise of your top executives and the breadth of your company's experience in ways that traditional marketing and advertising don't allow. With little or no money your blog makes your company appear more lively and accessible. This your personal voice. Guys, when you want to start blogging, set your goals and visions. Outline what you wish to accomplish with your blog and let those goals influence your blog. If you wish to be "tech blogger" the work hard enough to separate yourself from others so you can appear on search results. Don't exaggerate, keep it real and personal because your blog visitors want to connect with you. Do well to check blog posts before they're posted for grammar, typos, tone and consistency. If your blog solve the problems of readers, they will spread the word out. Ensure you post helpful links and attend to the needs of your blog readers. Don't just write, put yourself in the position of your readers, envisage what they are searching for on the search engines. If your blog entries are clear, concise and compelling, readers will want to return again and again. Your blog is your baby, keep it and nurture it. If you abandon your blog for a long time it gives readers a bad impression. 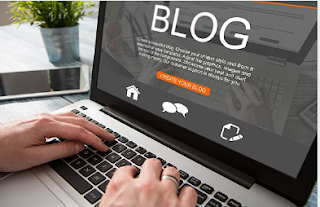 If you decide a blog makes sense for your business, here are some things you should keep in mind.